Have I mentioned how much I love fabric challenges? Cherrywood Fabrics is no different. 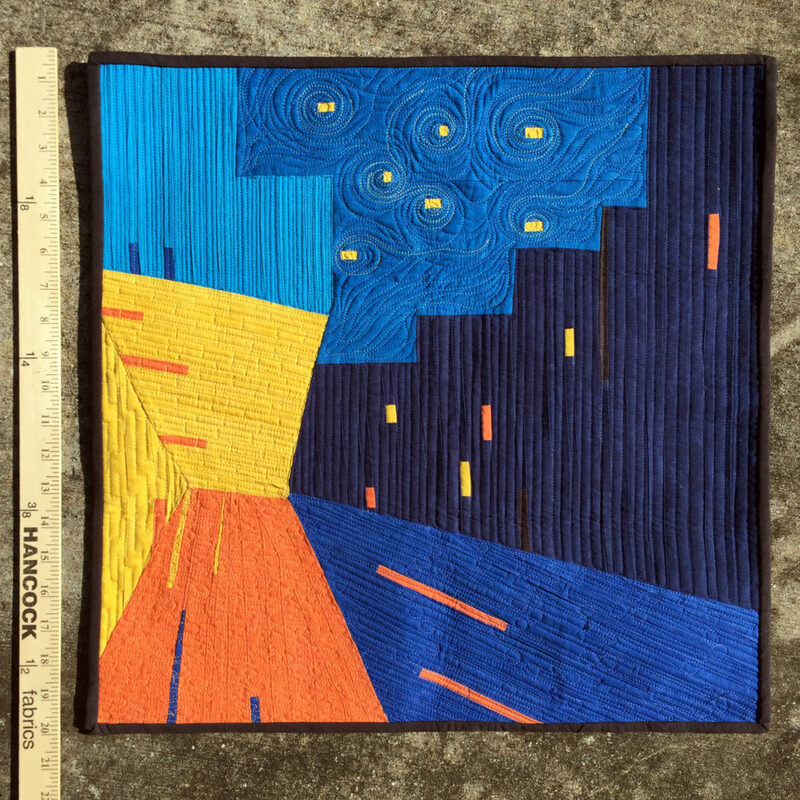 This is the third quilt I designed and entered with them, and the second to be chosen! 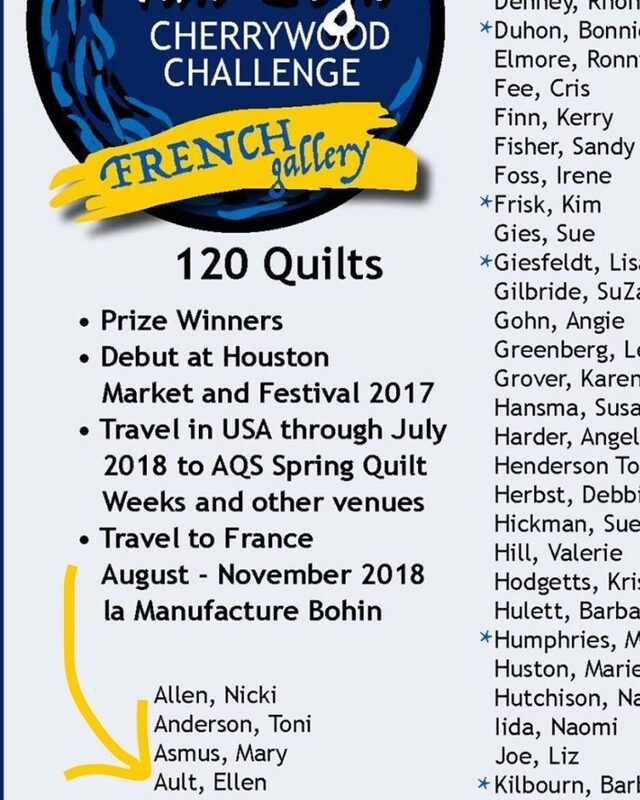 And let’s just pat myself on the back and say my quilt was selected for the French Gallery. This quilt will see more of the world than I ever will! 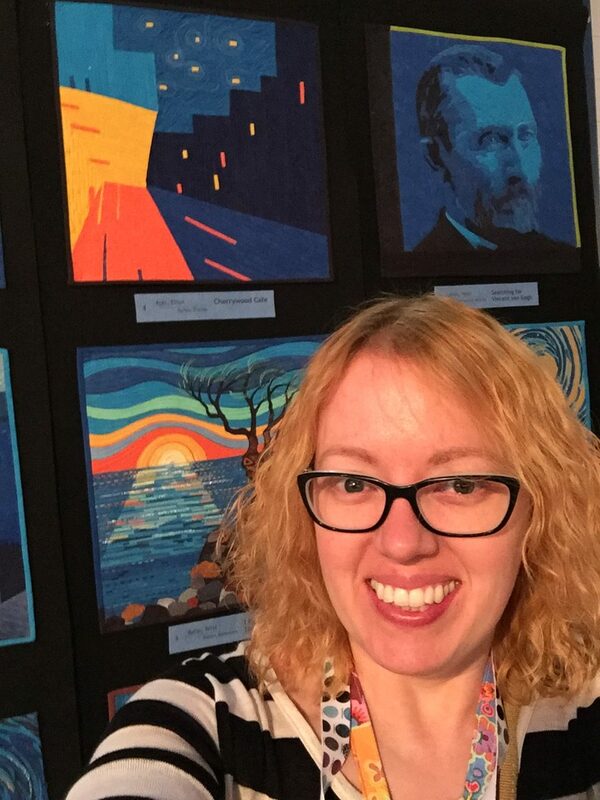 When most people think of Vangogh, the typical Starry Night or Sunflowers come to view. 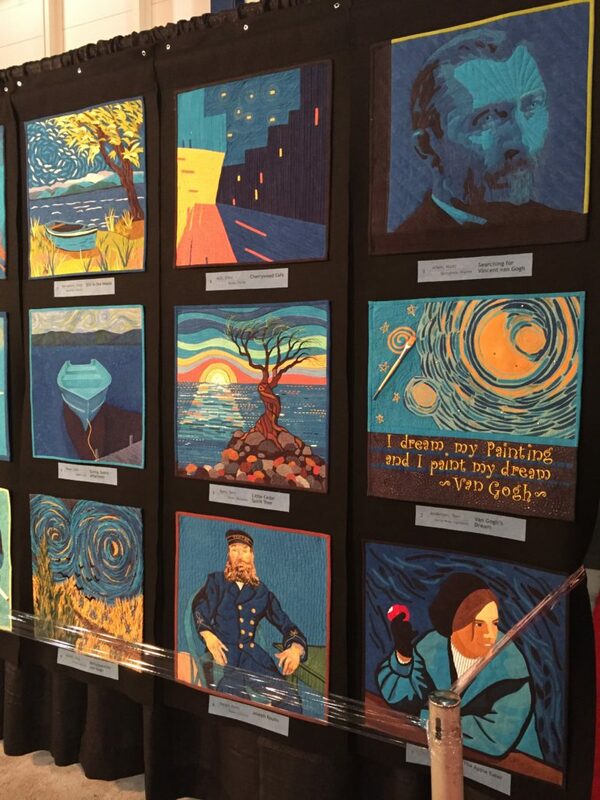 These are amazing of course, I made a cross stitch of Starry Night. 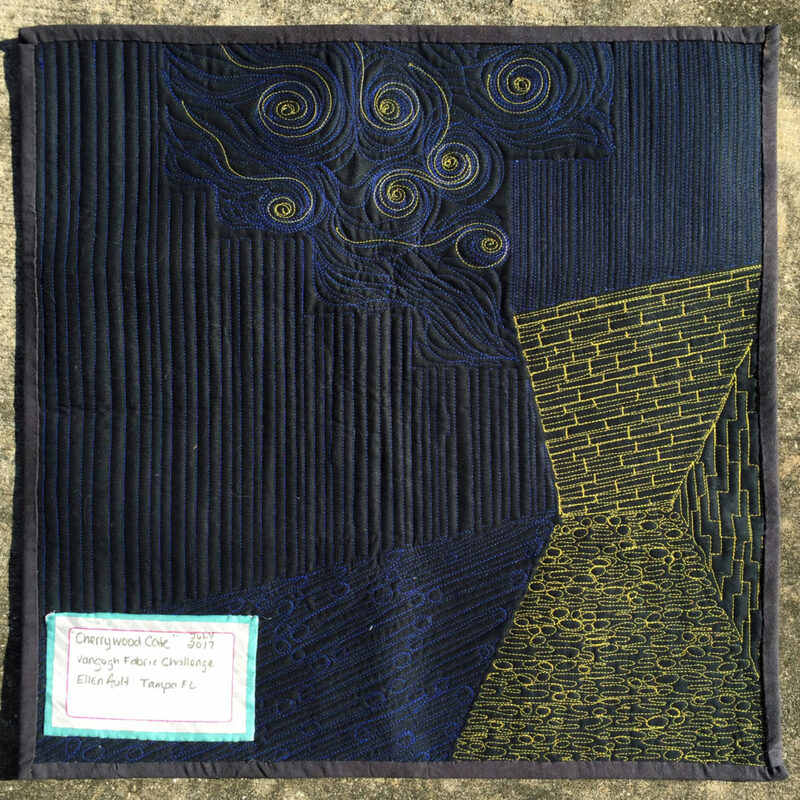 I have a whole other quilt color scheme inspired from Starry Night. But for this, I wanted to do something that was still great but not ‘the’ Vangogh piece. I chose the cafe because I love how Vangogh made the night just come to life. I also thought I could simplify the color scheme and block out the shapes. I also wanted to do matchstick quilting another try, but on a nice small scale. 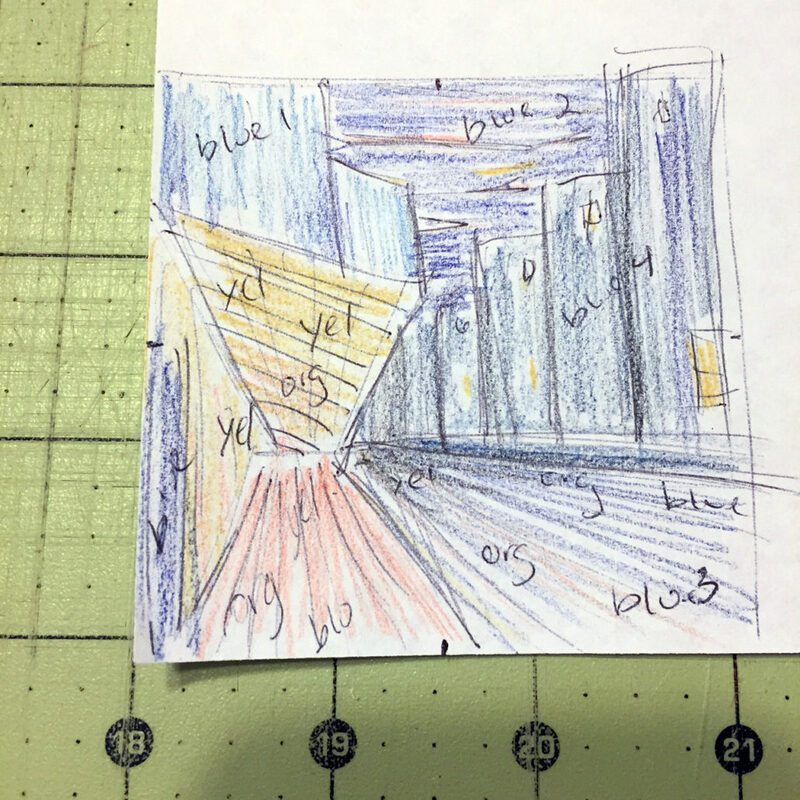 I first created a little 3″ sketch. Then blew that up to a real scale drawing and color blocked it. Which then I started creating improv pieces based on these shapes. It actually came together really fast, and was really happy with it. I entered and was luckily accepted. These Cherrywood competitions get bigger and bigger each year! It’s great for them. 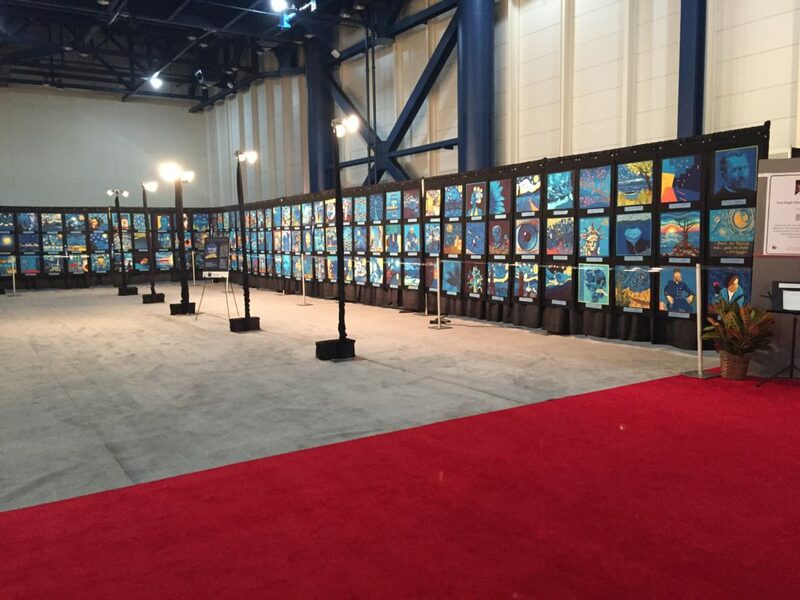 But equally great, the French Gallery traveled to International Quilt Festival Houston last October. 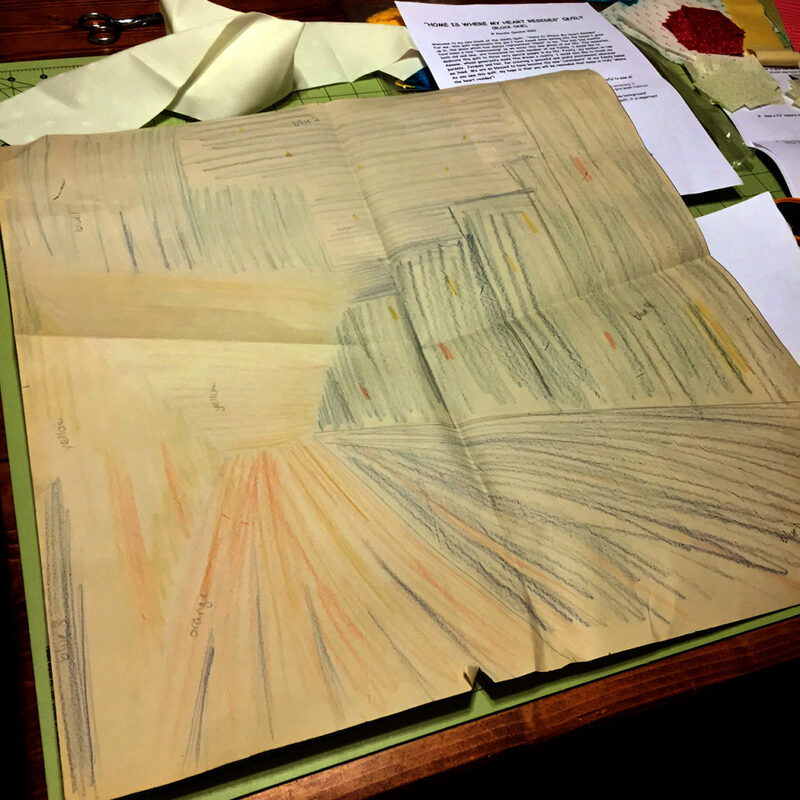 Which happened to be my very first quilt market. So seeing it hang was awesome! Not sure how I am going to handle the Prince theme for next year . . .